These cookies smell and taste like a soft gooey version of girl scout's thin mints (without all the chemicals!). They're made with almond meal which makes them gluten-free and surprisingly loaded with protein. They're also dairy-free and made with coconut oil, which makes them sort of healthy, but still ridiculously delicious. They're great right out of the oven but better the longer they sit. Topped with crunchy sea salt, they're crispy around the edges and soft and brownie-like in the center. I don't mess around when it comes to chocolate so I more than tripled the amount of chocolate chunks from the original recipe. Each cookie is filled with big puddles of chocolatey goodness. Also, they will make your house smell amazing! In a small bowl combine the almond meal, cocoa powder, baking powder, salt, and brown sugar. Whisk to combine. In a medium bowl, whisk together the eggs, coconut oil (make sure it's melted but not hot as you don't want scrambled eggs! ), peppermint extract, and vanilla extract. Gentle whisk the dry ingredients into the wet ingredients until combined. 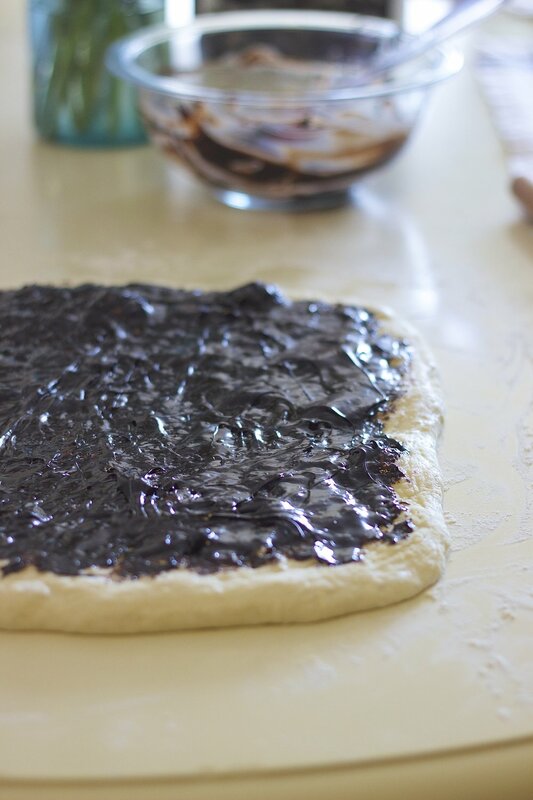 Pour in the chocolate chunks and stir with a wooden spoon to incorporate into the dough. Cover and refrigerate for at least 30 minutes. Note the dough can be made a day in advance. Preheat the oven to 375 degrees F. Line a baking sheet with parchment paper. Using a cookie scoop, place the dough balls onto the parchment then flatten slightly. Cook for 7-10 minutes until fragrant. Sprinkle with chunky sea salt. Best served when cooled completely.